Dolphins are symbols of breath and sound; playfulness and joy; universal harmony and community. These graceful animals know how to move with the flow of life. They remind us to breathe and to use the breath to release what we no longer need to return to a state of harmony, balance and contentment. 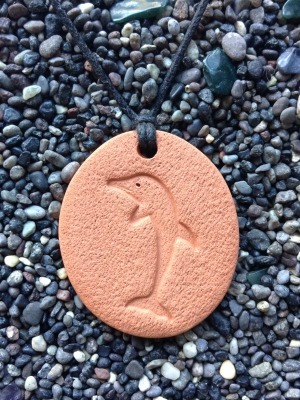 The Dolphin Pendant measures 3.25 cm by 3.75 cm (1 ¼ by 1 ½ in).